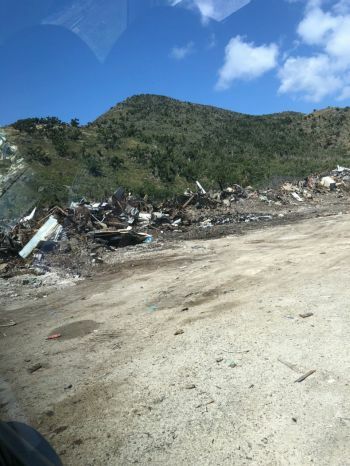 LITTLE HARBOUR, Jost van Dyke, VI - It was just last month February 21, 2018, that the Territory’s Chief Environmental Health Officer, Mr Lionel E. Michael issued a stern warning to the public to “refrain from backyard burning because of the environmental and personal health impact on the community." 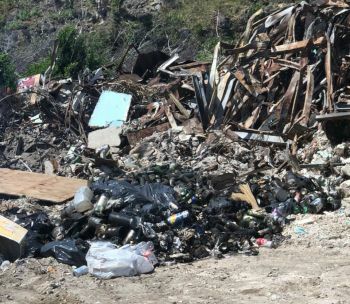 Mr Michael told the public, via a Government Information Services (GIS) statement, that he was asking all “persons to refrain from burning garbage, as it affects young children, the elderly, asthmatics and persons with compromised immune systems." In fact, Mr Michael warned that “backyard burning is also harmful to the environment and a potential fire hazard." Government is breaking the policy! However, did you know that the biggest culprit and breaker of this policy of backyard burning is the Government of the Virgin Islands? 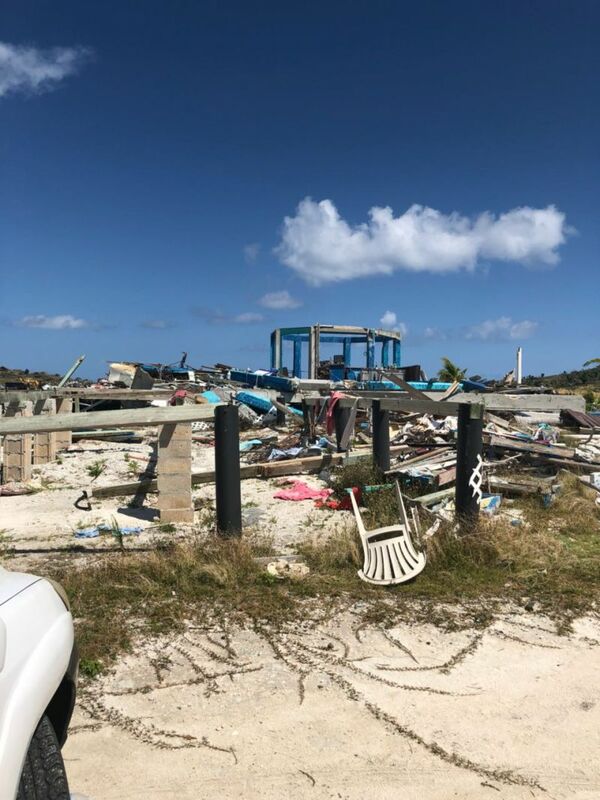 The Department that continues to engage in this on all islands is the Department of Waste Management (DWM), who falls under the portfolio of the Minister for Health and Social Development headed by Honourable Ronnie W. Skelton (AL). In fact, both agencies, the DWM and the Environmental Health Division, fall under the same Ministry and it seems like they cannot coordinate their information and set an example. A visit to Jost van Dyke (JvD) today Sunday, March 18, 2018, found that the DWM continues to engage in open burning on the eastern end in the Bubble Pool area on Jost van Dyke, as the area is the new garbage disposal site. 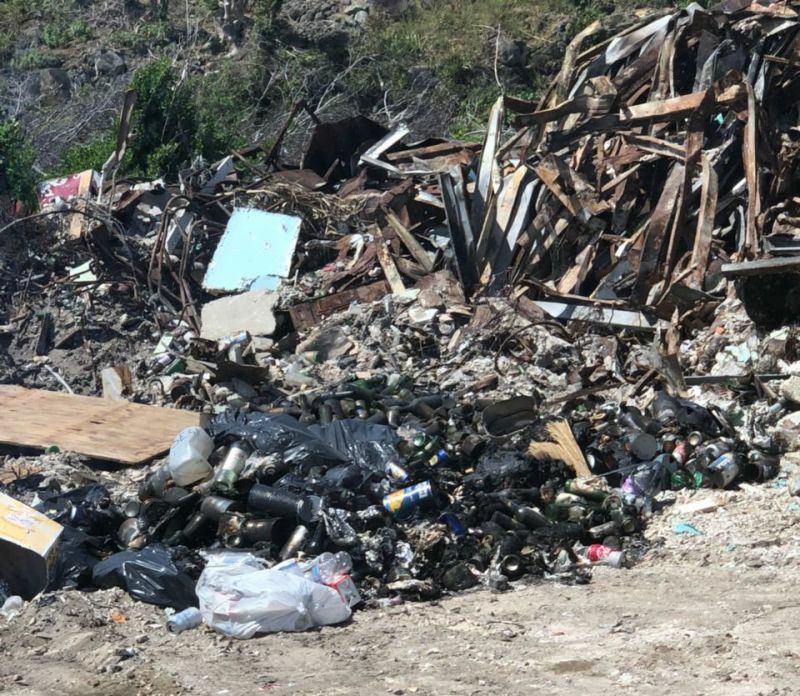 We found the area mounted with garbage and a cesspool of flies and indeed a clear example of a “fire hazard and harmful to the environment,” the same complaint made by Mr Michael last month in his GIS press statement. The eastern area on JvD has become unsightly and visitors and residents stay far from the area, which also once had an extension of Foxy’s known as ‘Foxy’s Taboo’ but was blown down and destroyed by the powerful winds of Hurricanes Irma and Maria of last year. One resident, a member of the JvD Preservation Society who did not want her name to be published, in an invited comment, told our newsroom “it’s a shame as government telling the people not to do something when they are doing the same things, so it means we cannot trust anything coming from government anymore…the flies and smell are a health hazard,” she lamented. Up to publication time Director of the Department of Waste Management, Mr Greg R. Massicote could not be reached for a comment. This story is about burning , so Foxys needs to burn his debris too. How are people not supposed to burn when they have nowhere except they’re yards to do so. Most don’t have vehicles or can’t afford to hire trucks to remove debris, plus this is double standard since government is openly burning. These islands have been burning for years, but we never had the magnitude of debris that we have now since the storms. Burning is the quickest and cheapest way to remove garbage, so these islands will never get cleaned up if they stop us. I have no roof and no money to pay trucks, so my little monies are going towards repairs , so burn baby burn. Greg from solid waste is a good man! Ok we all agree that the Government has double standards but what is really new here? I assume and that is my asumption, that the so called policy was meant to concentrate the burning of waste material in one authorised place, instead of having everyone doing so in their backyards, thus eliminating the hazards of fire and other undue health issues to neighbors or the neighborhood on a whole. Are you aware how many people have called the authorities complaining of fires just outside their windows sometimes late at night, preventing them from sleeping or irritating their respiratory and other breathing conditions ? Again while I agree of the double standard thing, too many people are bent on finding the problem but offer little or no solution to solve it. Even with authorised dumping areas, people are seen throwing their household waste where ever they want too.Today it is cleaned by the DSW the next day it look as if it had not been cleaned for weeks. The core of the matter is people just do not like being told what to do.. So DWM burns trash on JVD and it's about NDP? Well, they're still burning at the landfill on Virgin Gorda too like they have been for decades. Do as we say not as we do mentality. Normally, the standard practice is for govt contractors to take waste to the landfill. Now, what we're saying is that due to the excessive amounts of waste created by Irmaria, homeowners/generators are supposed to spend their hard earned money on having the waste trucked to a place where it will be burned anyway (assuming the transporter does not dump illegally somewhere else) when they could instead be spending that money rebuilding. Open burning at home should not be the standard means of waste disposal, but it seems that consideration should be given that these are extenuating one-off circumstances. Of course, the govt could offer extra hauling services instead, but that is unlikely to occur.